Recently built and finished cradle boat that converts to rocking horse type toy with seat and steering wheel inserted when child reaches the appropriate age. Dimensions overall 4' in length. 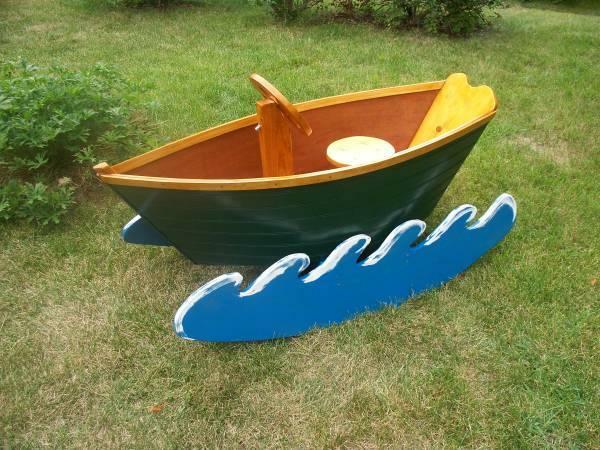 Cradle Boat/Rocking Boat - is a Baby & Kid Stuff for Sale located in Janesville WI. Find other listings like Cradle Boat/Rocking Boat - by searching Oodle for Baby & Kid Stuff for Sale in Janesville.